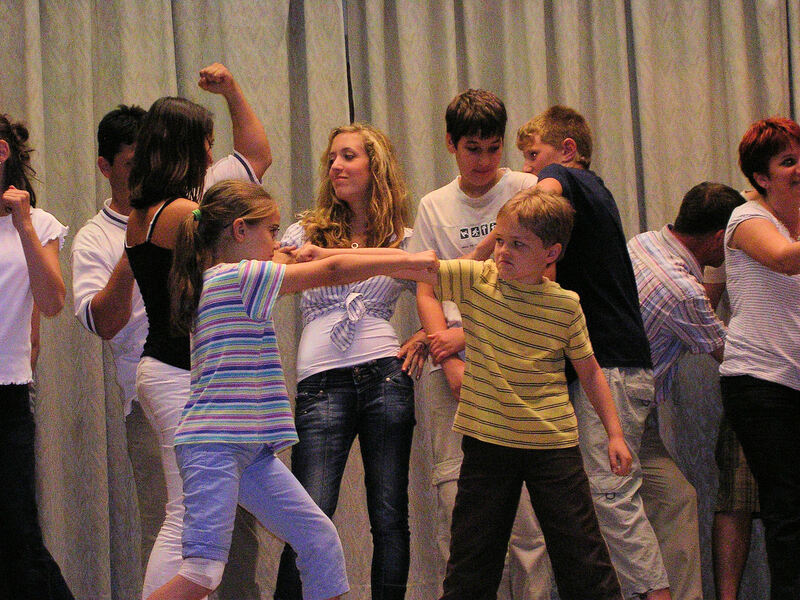 We held our annual OMS English Camp in the city of Vác again this year. It’s exciting to see the growth in the lives of young people who come to the camps year after year. In some cases our English camps are the biggest source of spiritual input that these young people receive during the year. 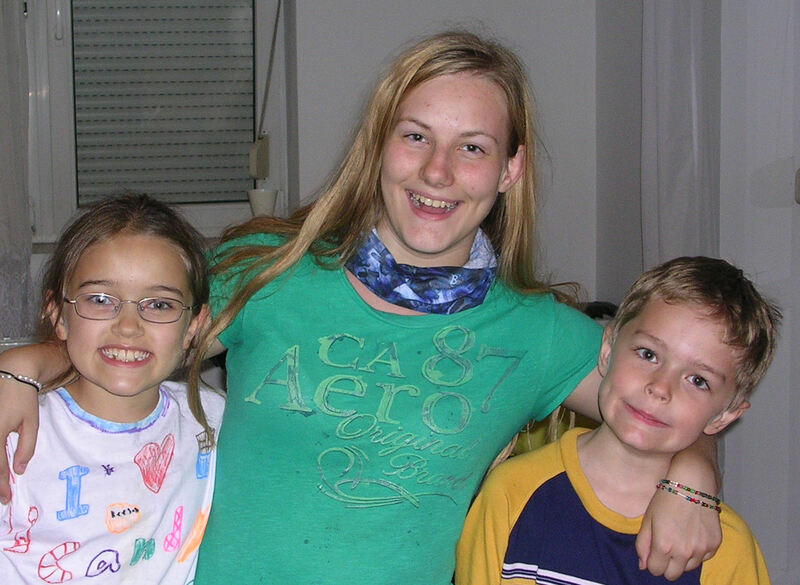 Hannah and Matthew with their friend Sarah Wray who came from the U.S. to volunteer at camp. We held two separate camps for the different age groups, a children’s camp and a teen camp. Hannah and Matthew were again involved in the children’s camp. Of course, they don’t need to learn any English, but they applied themselves to learning some new Hungarian words while the other kids were learning them in English! As usual, we had songs, games, and lots of conversation groups which allowed kids to develop their English while also asking important questions about life and about God. The Gospel was clearly presented to the young people during the camp, and opportunity was given for them to respond. We know of one young woman who gave her life to the Lord for the first time. Others may have responded that we don’t know about. While the number of students who attended the camps was lower than we had hoped, it’s still exciting to see new believers coming into the kingdom of God. Hannah and Matthew were part of the parents' night performance at the end of camp. We are planning to hold follow-up retreats for the students who came to camp during the year. Our first retreat is this coming Saturday, August 20. This also happens to be the national Hungarian holiday, St. Stephen’s Day. The day is always marked by a spectacular fireworks display in downtown Budapest over the Danube River. We hope that it will be a significant day for the young people attending the retreat also. Some of our Hungarian co-workers came to the Lord through retreats following previous English camps and have good memories of them. Two of them, Sanyi and Rupi, were actually the ones who decided to revive the retreat tradition this year. We’re looking forward to what the Lord is going to do through them.